Nowadays travel has expanded to incorporate several aspects like activities, getaways, and travel gear. This has resulted in dedicated travel marketplaces that offer users more than just a pleasant stay. These platforms are driven by exquisite experience that users get to relive. Websites like Zozi, Vayable, and Peek market themselves as a one-stop gateway to discover and book thousands of activities & travel getaways, and also get the gear for them. They also provide best in class online booking software for activity businesses and inspire people to experience the world. FATbit analysts believe this two-part platform will be instrumental to businesses that specialize in experiences. Millions of people have been using these services to discover and book activities to do around the globe. Due to this popularity, FATbit technologies did an in-depth analysis of key website features that make for an advanced travel activities portal along with its business and revenue model. 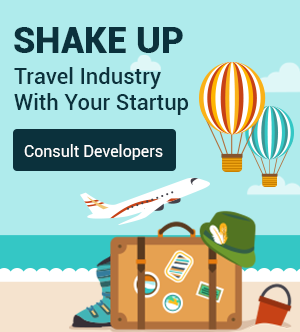 This is for entrepreneurs who want to launch a travel planning portal. Before going ahead, let us look at its business and revenue model. Travel activity marketplace business model is based on providing apparel & gear along with tours & activities. It helps users with discovery and curation of the most authentic experiences and latest gear products. In addition to it, merchants get a channel with large numbers of users who can become repeat buyers and refer their friends. When users search for activities, they also see advertisements for backpacks, jackets, and sunglasses, and this is where the platforms get additional revenue. In addition to it, the platform can also charge businesses as well as brands a service charge for listing their items. Travel experience websites which depend wholly on recreation activities and travel need a user engaging website design. In addition to it, making users stay also requires neat information architecture that doesn’t clutter the layout of the web page. During our analysis of several websites, we found various key features that would result in an advanced travel experience clone website. Let us take a closer look at each website feature to get a better understanding. When it comes to homepage design, you have to be pitch perfect and focus immensely on user engagement. The fact of the matter is that the design of the homepage can make or break a user experience. It is one of the major deciding factors for a user to either ditch or adopt a service. FATbit analysts have some suggestion on how to design the web page for your online travel experience website. Ensure that you have a nice and attractive banner image along with tagline that makes it obvious that the website specially caters to travel experiences. A grid section overlapping the banner, which displays all the popular travel categories. This is an essential aspect, which gives an idea about your offerings. A top navigation bar that includes links to important sections like activities and getaways. There can also be links to subscribe and Sign-in in the top bar. It is essential to note that these websites cater to a niche sector and are different from traditional travel booking websites. They emphasize heavily on activities rather than which hotel room would you sleep in. This is why you must have a dedicated section on the homepage, which list all the top activities. This would help the users in finding all the popular activities in a particular area and avail them accordingly. A drop down menu will let user can change and select their preferred city. FATbit analysts believe this approach is highly fruitful and user engaging. While the above-mentioned feature addressed the topic of things to do while, in a city, the following feature takes into account things to do when you are traveling. This section can display three of the most popular destinations search by users. Not everyone is inclined toward doing regular things and going to popular destinations. Some people are adventure junkies who seek travel escapes to offbeat places. For them, a section called Travel escapes and adventure can offer various activities, which involves adventure and thrill. No travel related website is complete without a blog that shares tips and inspires travelers. A well-detailed blog offers in-depth information to travelers on various travel ideas, which helps them make an informed decision. FATbit analysts recommend confirming blog facility in your online travel experience clone script. Rather than a dedicated page for sign-in and sign up, you can follow the popup approach, which is highly user-friendly. In addition to it, also incorporate the option of one-click sign-in via Facebook/Twitter or another other social media platform. Overall, the login/signup process should not take more than 30 seconds. The presence of these filters makes it easy for the users to streamline the results and remove the hassle of going through multiple listings. In addition to it, users can also sort the listing based on relevance and price. In addition to activities if you also plan of selling gear on your website, then you can follow the same approach as mentioned above. The items can be displayed in a grid, but provide an option to change the display to list. The results can be sorted based on relevance and price. In addition to it, there are several filters, which can streamline the results further like category, type of activity, gender, brand and price. Incorporate an autocomplete feature so that the result appear simultaneous while typing a keyword. ensure all the vital details like price, add to cart, location and a brief introduction is viewable by the user right from the search result page. Rather than just being an online e-commerce portal catering to travel enthusiasts, do ensure that your website aims at becoming a one-stop gateway for all the information related to personalized activities. The above-mentioned approach recommended by FATbit will surely provide an edge to your website in attaining success. Divide the buying process into different sections There are five sections in the shopping cart page. The first part would display the list of all the items added to the cart. Users can even edit item’s quantity or remove them directly from this page. The second part would ask users to buy the item for themselves or send it to anyone as a gift. The fourth section would display the shipping info of the items. In the next section, users would input their payment details to make the purchase. Users can even enter the promo code to avail discount. While browsing through the website users might find an activity or item interesting. This is where a feature to add that item to favorites would come in handy. This would allow users to bookmark any activity or product easily by adding them to the favorites. Users can access this section by going into their account. They can also have the option to edit the list and share it with others. Most eCommerce websites incorporate a referral program in order to acquire new users. This is, in fact, one of the most efficient ways to garnering a connected community. You can also have the same on your website to increase your user base. You can also provide options to track the referrals and total earnings via the same. Placement of search bar: We have already mentioned the importance of the search for any eCommerce platform. In the current market dynamics where a platform houses hundreds of thousands of items, search becomes of the key areas for product discovery. So, your website just cannot give search bar a slip on the homepage. Always ensure that you place the search bar in a prominent location on the homepage. Also, place the search bar in the top bar when it comes to other pages like inner content pages so that users do not have to go to the homepage in order to search for an item. Selection of the preferred city: As discussed by us in the beginning, users have the option to view top activities right on the homepage in accordance to their preferred city. But for first-time users, your website must have an option where the user can select a city via pop-up or use Geolocation. The travel industry is a tough nut to crack, but with the proper business model and advanced website features as mentioned by us above, profitability can be achieved with ease. If you are an entrepreneur interested in starting your own online travel experience website, then, you must pay heed to the above-mentioned features. Go for a script or collaborate with experienced design and development professionals to develop your travel website with new features. FATbit would be happy to help you create your our own your own travel activity booking website. Get in touch with us to discuss project requirements. Posted in Tour and Travel Business Ideas and tagged as travel planning portal by FATbit Chef.